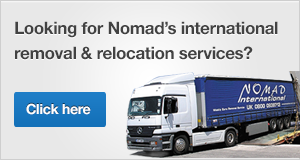 In addition to our removals and parcel services, Nomad can also transport pallets to Greece too of course. We have our own vehicles heading to Greece very regularly, and we can often accommodate pallet shipments on these vehicles. 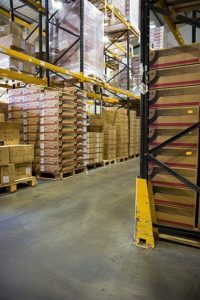 By taking the pallets ourselves we can provide our usual outstanding level of service – even breaking pallets down on arrival to trans-ship them by hand if necessary. If the contents of the pallets are not fragile, we can also utilise our extensive partner network for fast and cost-effective pallet delivery all over Greece. Just let us know your requirements and we will give you a quote. Our standard price for a pallet to Greece is £320 + VAT per pallet. This is based on “depot to depot” transport from our UK warehouse to your warehouse in Athens, with pallet size up to 120cm x 100cm x 120cm high and weight up to 230kg. Please contact us to discuss your requirements, we would be happy to give you a quote. We also need to know the height of the pallet, and whether it is considered “stackable” or not. While we don’t need to know weights for our furniture removal services, for pallet transport we do need to know the weight of the pallet. 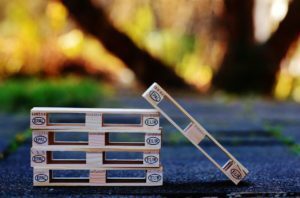 This is because the contents of pallets are often heavier than furniture, and we need to know in order to ensure safe vehicle loading, handling and delivery.